Tzari is from Tangaa X Zahra litter. She is a sort of three quater sister to Rayne, and Jana’s full sister. 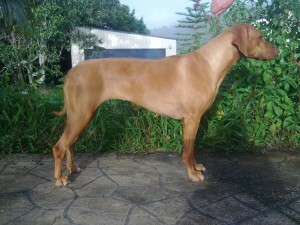 She is a livernose, and the most lovely conformation and temperament. She lives with Aysha at Uki in Northern NSW.